Our gorgeous Periodic Table of the Elements poster is a wonderful teaching aid and a great compliment to your current periodic table. 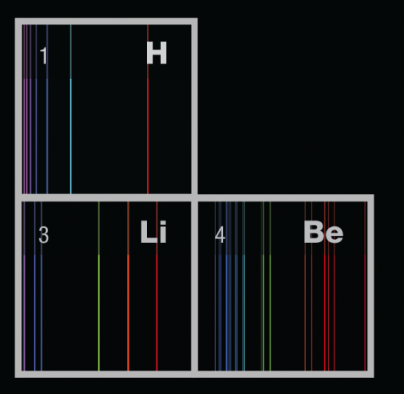 Your students will immediately understand that each element has its own spectral fingerprint. This 1.5 mil laminated poster is 24″ x 36″ and is a high-quality, high-resolution print with brilliant colors. Accredited institutions: You can request a quote or send a PO using our contact form: link. Here’s a great gift idea! 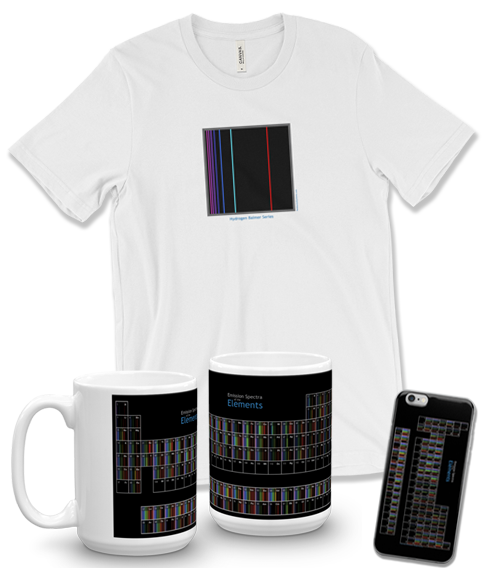 Check out our iPhone cases, mugs and tee shirts: link. 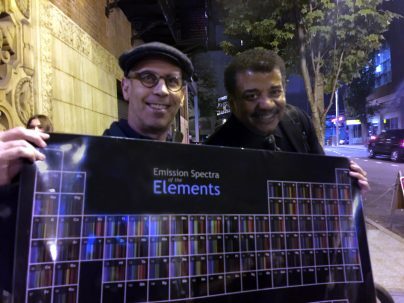 Are you frustrated teaching light & color and Spectra? 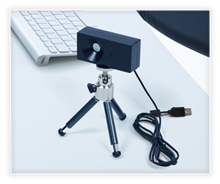 Our RSpec Explorer spectrometer (below, $395) is a compact, turn-key live video spectrometer. 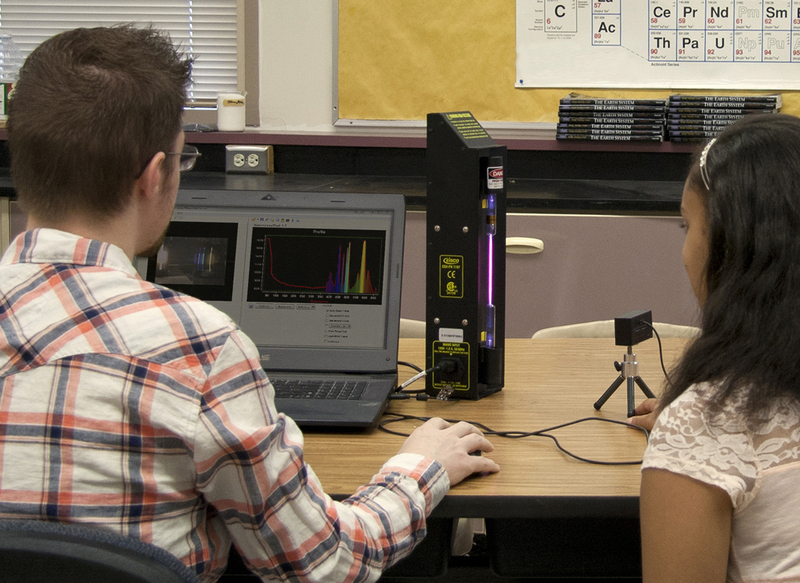 Whether it’s used for hands-on labs, or classroom demonstrations, teachers love this easy-to-use device. Learn more: www.fieldtestedsystems.com. 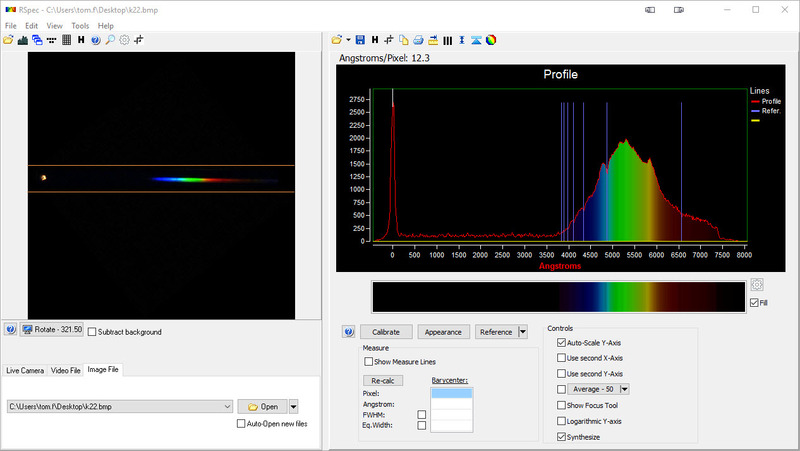 RSpec Explorer live video spectrometer makes spectra easy! 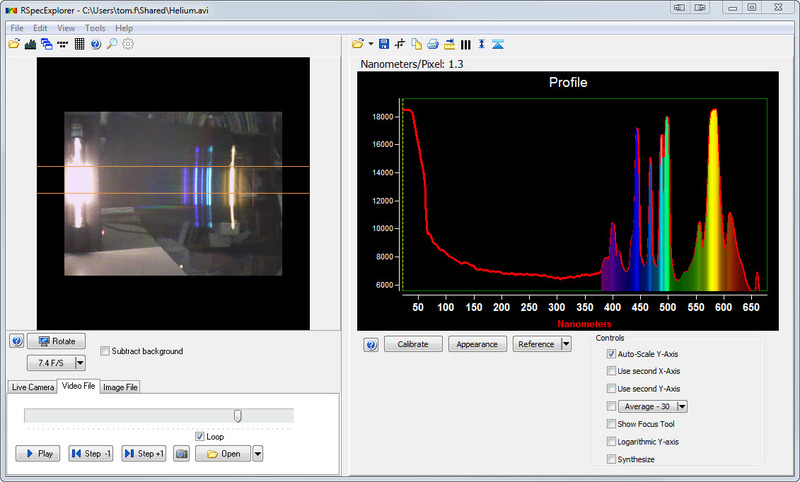 Use your DSLR to capture the spectra of stars! Screw our Star Analyser 100 grating onto the lens of your Canon or Nikon DSLR and capture the spectra of stars like the one below. Questions? We love answering questions and helping newcomers get started. Send us a note: link.